Facades play a vital role in the overall look, feel and performance of any project. 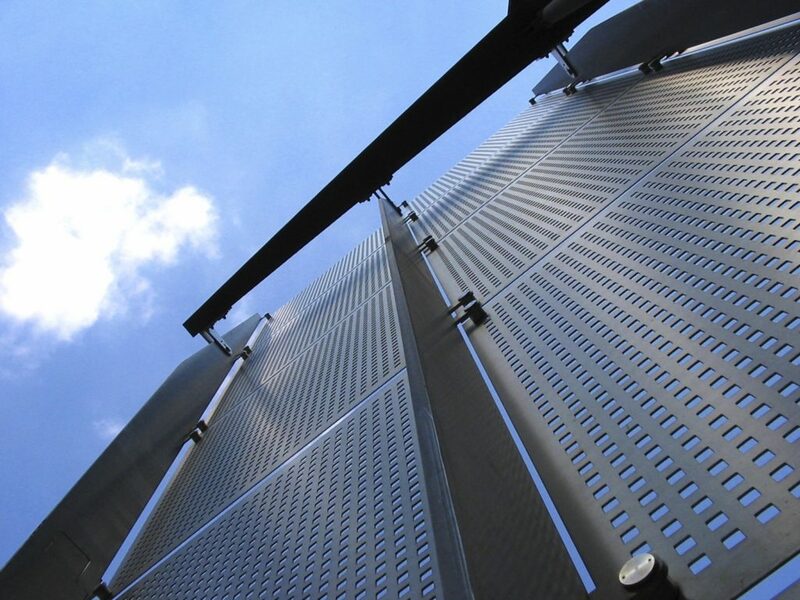 Urban Metalwork is commissioned regularly to design, manufacture and install, decorative and practical façade screens to existing and newly constructed projects. Façade screening can be used as a way to enhance the finish of a building by creating a feature piece in small or large areas. In some cases, even wrapping an entire building in a standard or custom-designed pattern that reflects the vision of the architect, designer, artist or developer. Our laser-cut steel screening projects can include engineering scope when required by our team of in-house engineers. All façade jobs can be designed and manufactured with sub framing, bracketry and fixing points where required, ready for immediate onsite installation by one of our contractors, or our client’s own installation team. All framing, brackets and accessories are manufactured by Urban Metalwork to complete the whole package of façade services. Our preference is to work directly with the installer, building contractor and architect to assist in project management of the façade. Please contact Urban Metalwork with any enquiries. We also offer a huge variety of Corten steel screens in Geelong, ideal for interior or exterior spaces.